This hotel offers first class accommodation combined with excellent service and provides an ideal base for couples, families and golf groups wanting a relaxing beach side holiday. 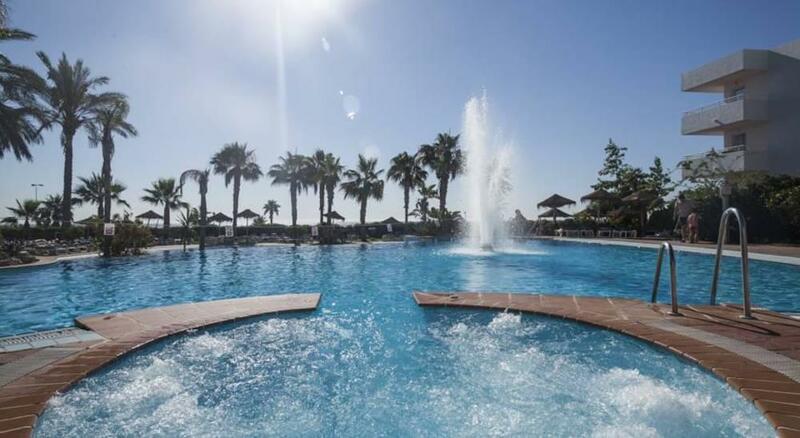 The hotel features two outdoor swimming pools and a childrens pool with spacious sun-terraces furnished with loungers and umbrellas. 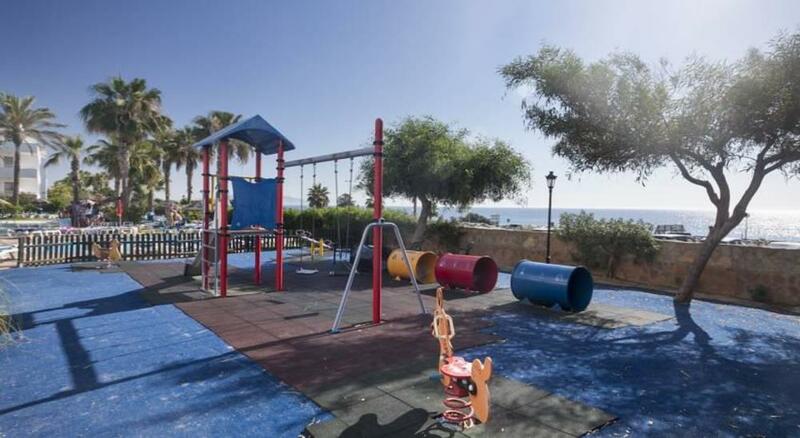 There is also a TV room, Wifi hotspots, indoor pool (heated in winter), gym, kids club and playground, as well as a daytime and evening entertainment programme. 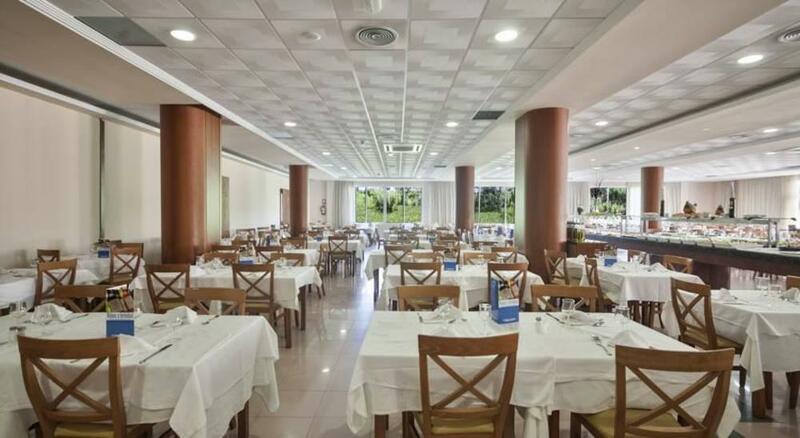 Wining and dining options include the main buffet restaurant, a snack-bar and a cafe-bar. 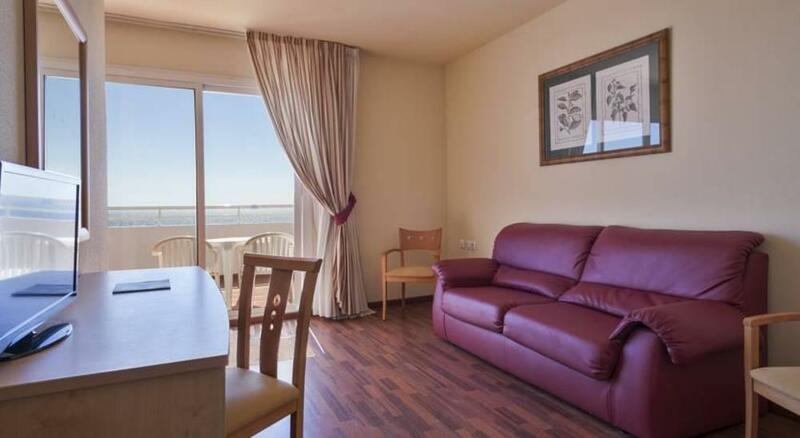 Also available and subject to a local charge are; car and bike rental, garage parking, souvenir shop, paddle court, tennis, hair-salon, massages and a Spa with jacuzzi, sauna, Turkish bath and Scottish shower. 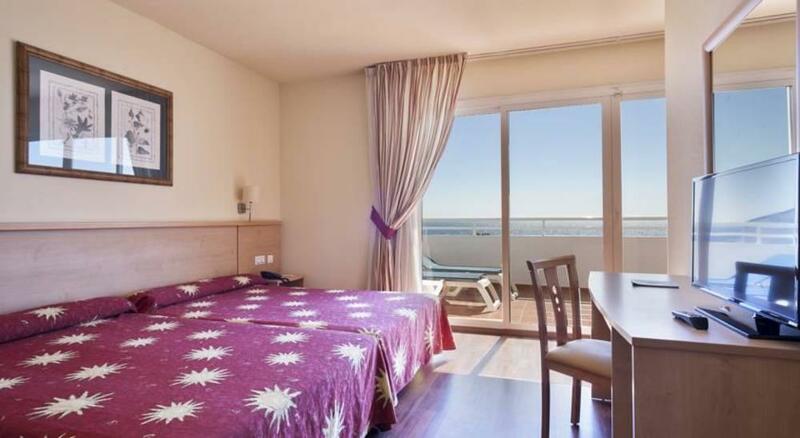 The hotel offers standard rooms and junior suites, each room is fitted with two queen size beds, a full bathroom with hairdryer, air-conditioning (from 01/06-30/9), heating, telephone, satellite TV, minibar and a balcony or terrace. A safe deposit box and Wifi internet access are available for a local charge. Ideally located on the seafront, just 50m across the road from the sand and shingle beach, as well as the Marina Golf course. The resort centre can be easily reached by a regular bus service where you will find a selection of bars, restaurants and nightlife. We are very sad that we must pay for drink during meal. Water 2,5 euro when in shop 0,70 euro a litre. We've stayed at the hotel Best Oasis Tropical in Mojacar several times now and we've enjoyed the experience every time. Rooms are spacious, clean and comfortable, with high quality, well appointed bathrooms. Staff are friendly and very efficient. 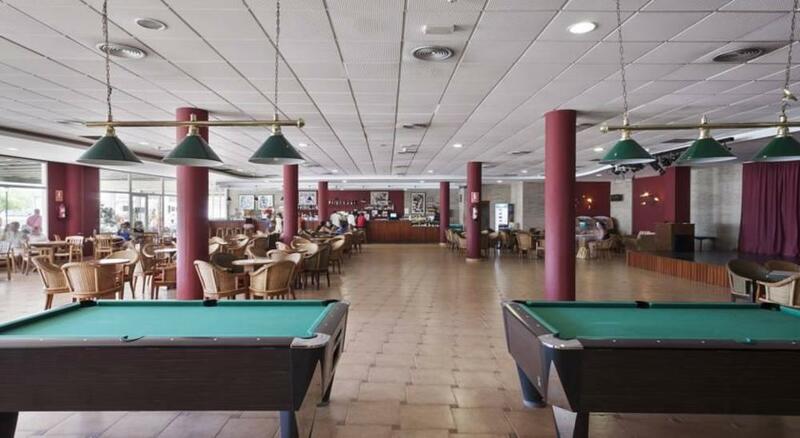 The food is plentiful and of a high quality and the communal facilities, e.g. the enclosed swimming pool and jacuzzi area, are excellent for both adults and kids. For a 4* hotel, it's also excellent value. 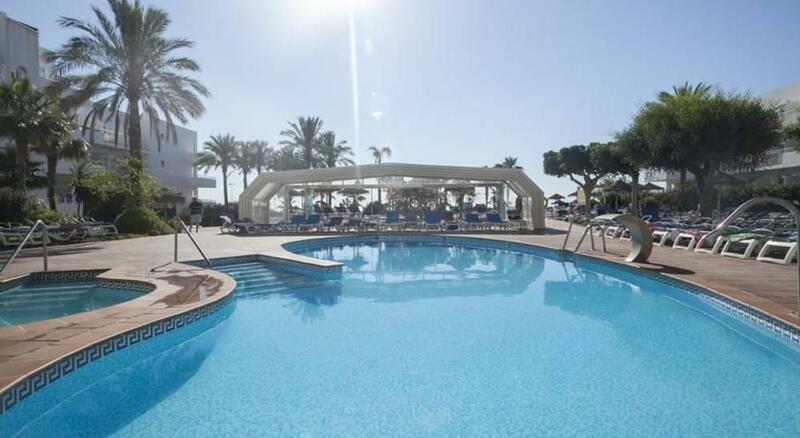 The hotel is located in a quiet coastal zone, a decent walk away from the main resorts of Mojacar and Garrucha but a regular bus service is available for those with walking difficulties. Hotel was very clean, cost for our 4 night stay was much less than the one next door where we stayed at in November 2015. The meals at Oasis Tropical was better. My only moan, is our 2 requests when I booked were not adhered to like the other hotel. As a family we like to be in rooms next to each other and away from noise (my daughter suffers from very bad migraine). We were locked out of our room 1 day early but that was soon rectified and we just laughed. They could spend some money buying better shower curtains that didn't stick to your body when wet. Not good! I will definitely be staying there again, this was my second time. I have stayed at all 3 hotels on the street over the last 6 years. Must say the staff were very friendly, dining room facility excellent. Free Wifi and a fridge, yes with drinks. Going back in March. A very pleasant stay! Very Spanish, but very welcoming! Great fun around the pool! Food amazing, great choice and quality. Clean rooms and spacious beds. Great hotel, very helpful staff and great food, nice relaxing holiday. Very good facilities and very clean and friendly. Staff acknowledged our request for a lower floor and sea view. Great choice and good food in the large restaurant and very family friendly. Excellent! The hotel rooms, cuisine and bars were good as were the majority of the staff. The reception staff, however, were a nightmare, they were not at all helpful, whenever I asked to see a member of the management they were not available or on a day off. The weekends did bring a large influx of Spanish pensioners.